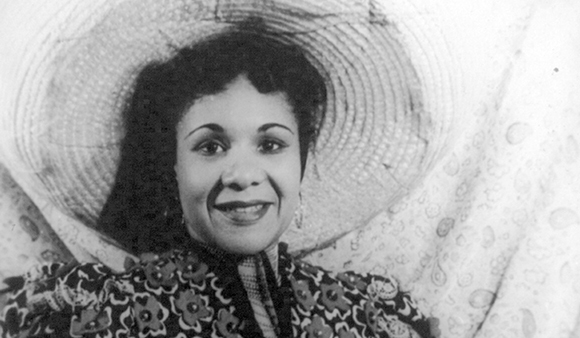 The recipes of Katherine Dunham, PhB’36, were as eclectic as her art. In an unlikely dual career, Katherine Dunham, PhB’36, was a pioneer of both dance and anthropology. As an undergraduate anthropology student in the 1930s, she traveled alone to the Caribbean to research African dance traditions. She adapted her findings into choreography for her dance troupe, which performed in more than 50 countries over 25 years. Dunham lived in Kyoto, Japan, for a year in the 1950s. She wrote her autobiography, A Touch of Innocence (Harcourt Brace, 1959), there while taking an extended rest from touring. Her interest in the cultures of Asia—which also influenced her dance style, Dunham Technique—is reflected in the fusion recipe here. Clean and dry the shrimp. Flatten into a butterfly shape if desired. Sprinkle the minced garlic over the shrimp. Using chopsticks or tongs, dip both sides of each shrimp in grated coconut. Heat the butter and oil in a skillet. Sauté the shrimp carefully until golden brown. To serve, mound the rice in the center of each plate. Dot with raisins. Arrange the shrimp in a circle around the edge. A sake cup full of soy sauce can be poured over the shrimp and rice if desired. Serves four as a main course. Adapted from Katherine Dunham: A Biography (Marcel Dekker, 1979).